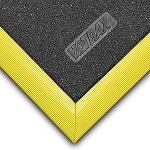 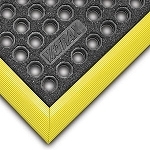 The 656 Niru Cushion-Ease Solid Floor Mat is an anti-fatigue safety mat made of 100% Nitrile rubber material providing supreme durability and resistance to chemicals, oils, and greases in tough working environments. 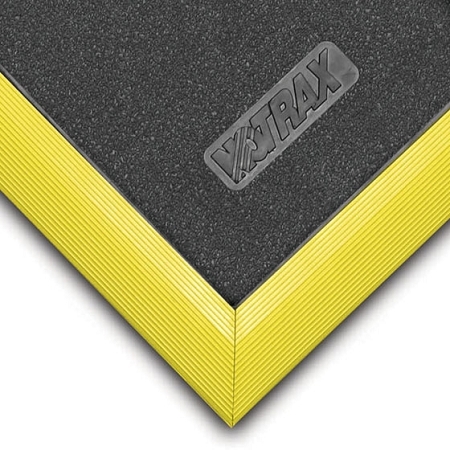 This floor covering is inch thick which aids in reducing discomfort on legs and back increasing performance and production. 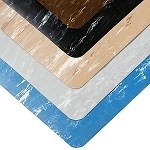 Customizing your work environment is simple with these easy to snap floor paddings that are also easy to sweep clean. 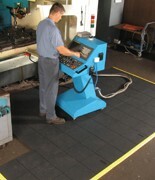 Having these floor mats around work areas benefits your business because production will increase due to workers feeling less exhausted from long periods of standing and walking.